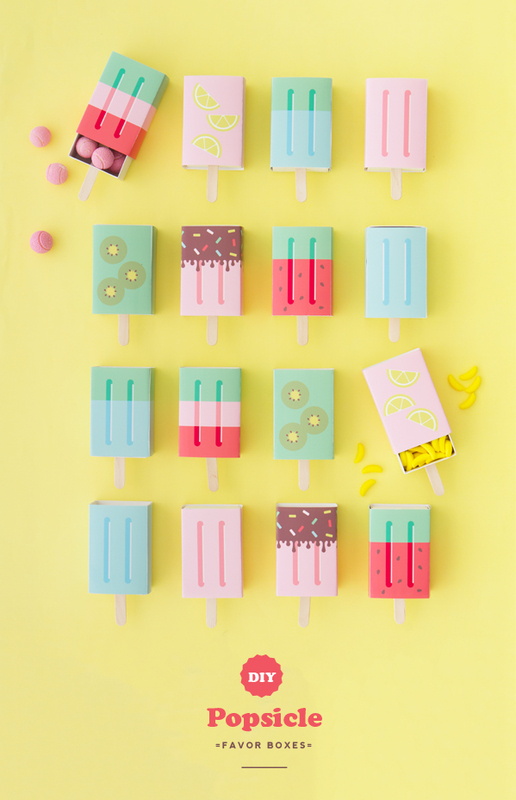 This gorgeous Spring weather has propelled my thoughts to Summer and there is NOTHING like a sweet, ice-cold popsicle on a hot Summer’s day spent in the sunshine! 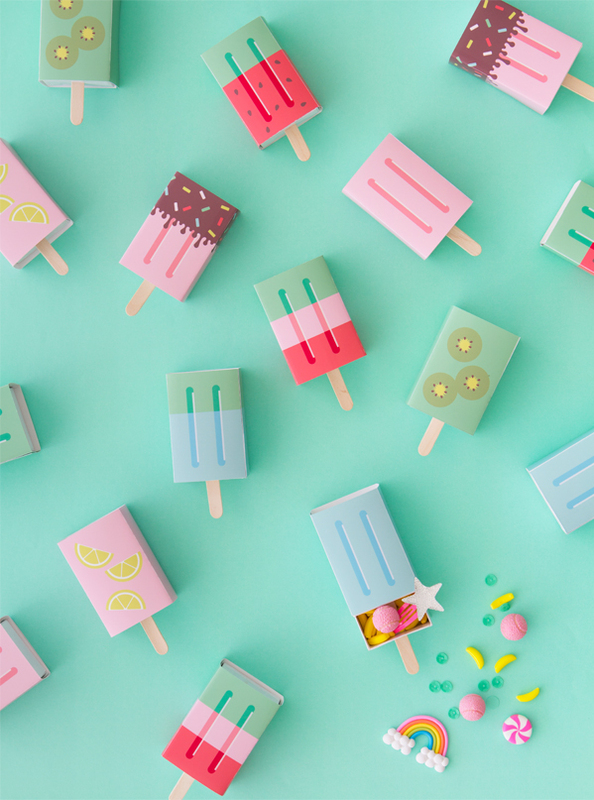 Inspired by these heaven-sent treats, I’ve designed some fun mini favor boxes that can be used for your upcoming Spring / Summer parties and ice-cream socials! Simply download the artwork. Open the .PDF in Adobe Reader. Print onto thick glossy photo paper. Construct and slip onto slide open boxes (3 1/8″ x 2 1/16″ x 1 1/4″. Item no. 8227492). 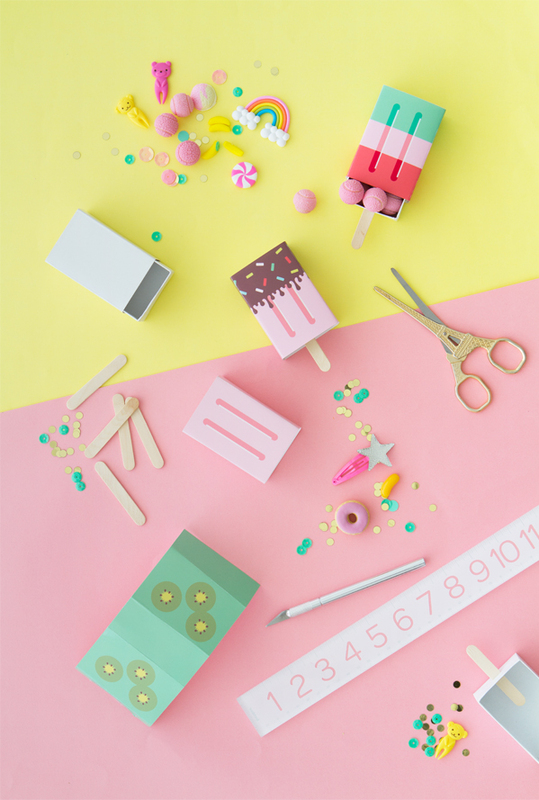 With an x-acto, make a slit in the bottom of the matchbox and gently push your mini popsicle stick until it fits snugly inside. Then fill your boxes with colorful treats and/or toys! These these are so cute!! And such a creative and unique idea. I haven’t seen anything like it before. Definitely need to try this out!! Very cute! 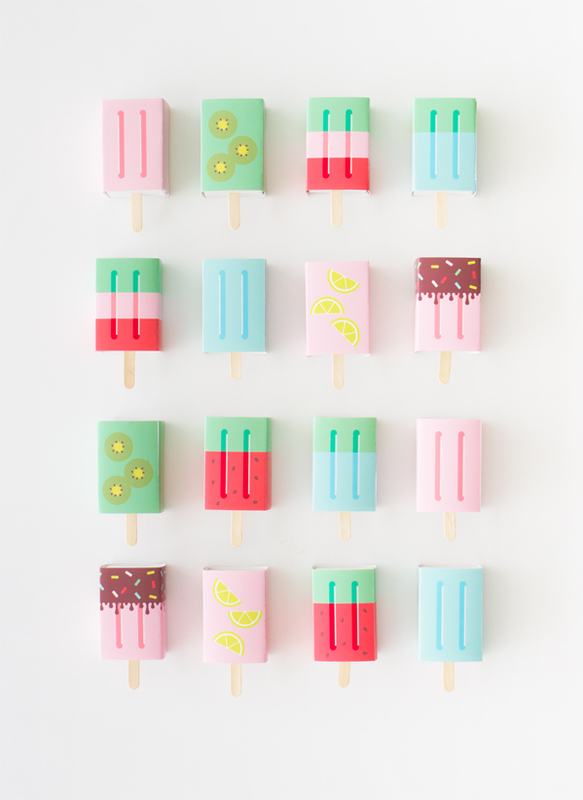 I have a question – How do you keep the Popsicle stick from slipping or moving around? Hi Jenny, thanks for mentioning this because I actually forgot to include the popsicle stick portion of the DIY!! I’ve just updated it. I’ve found that the slit I make with the x-acto knife is usually quite thin so you actually have to push the stick in until it fits inside and it usually ends up fitting quite snug and therefore doesn’t move around too much. Hope I’ve been helpful! 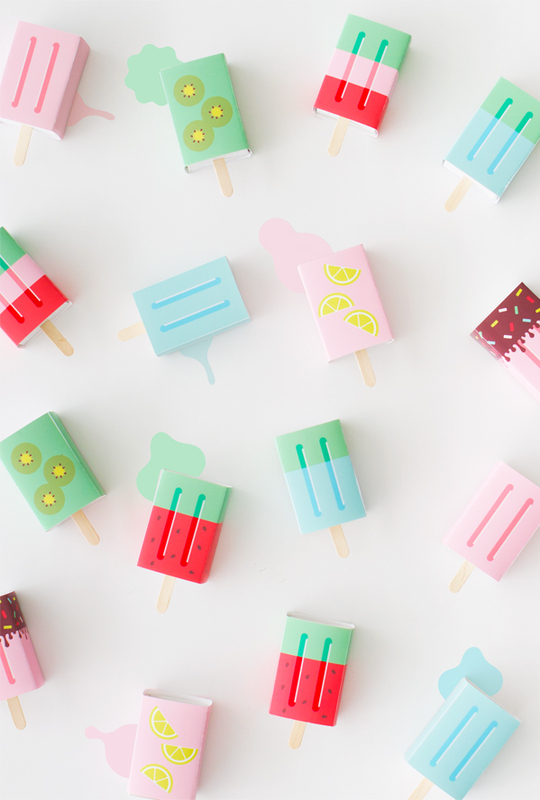 These are so perfect for a summer party! Adorable! Love Love Love these!!!! Any “foodie” printables are always a hit!! Keep cuties like this coming! Thank you and I can’t wait to make some of these up! Thanks for sharing this DIY! Your mind is from other planet.